SEO is far from easy or simple. If you want to get good at the subject, it takes a lot of dedication and constant learning. That is why a lot of beginners tend to make costly SEO mistakes which put them in a bad position down the road. If you don’t have the funds to hire an SEO expert, at least try to avoid the following mistakes, at all costs. If you are a WordPress developer, stay far away from these things, or you won’t have a very good time. 1. If your clients are pressuring you to add their company or online store blog to a subdomain, don’t listen to them. Working with clients is tough from time to time, and sometimes they will make requests and pressure you into stuff that you wouldn’t normally do. But, when it comes to this, stand your ground. It is detrimental to the SEO of the website if you do this, simply because the subdomain is looked upon as being a separate domain, and thus the links that come to their blog in the future will not go through the authority of the website domain. 2. It is common for developers to create site wide links, which is very useful. However, if you are adding credit links to a theme or plugin you created, it will appear everywhere where your theme or plugin is used. That means that if your theme becomes at least somewhat popular, thousands and thousands of websites and blogs will have that credit link. You might think that that is a good thing, but that is not really the case. Google will probably see that as something fishy going on, and that is never a good thing. 3. Website speed is something that matters a lot, and you have probably heard that one before. There are two major advantages to having faster websites. Firstly, Google ranks the websites that load faster better. So, you will have a better ranking on Google is you have a fast loading time. Secondly, users love fast websites. It is simple as that. 4. Possibly the worst mistake you can make when it comes to developing WordPress websites is to just ignore SEO. 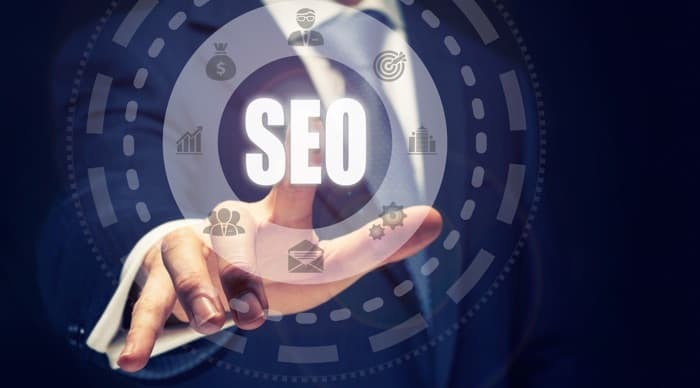 SEO is hugely important for the success of a website, and just plainly ignoring is a literal guarantee that you will fail. It is simple as that, so keep in mind, SEO must not be ignored. If you do not know how to go about it, hire someone who does. Just don’t swipe it under the rug and pretend it’s not there, because you will only hurt yourself. Sometimes, there is no arguing a client. You sometimes need to cave a little under pressure and allow some practices that you aren’t a 100% satisfied with. But, you need to draw the line somewhere. If one of your clients is making a terrible mistake, like some of these we have mentioned above, you need to put your foot down and not allow it. Chances are, you are either going to succeed, or they will hire someone else. But at least your conscience is clear.